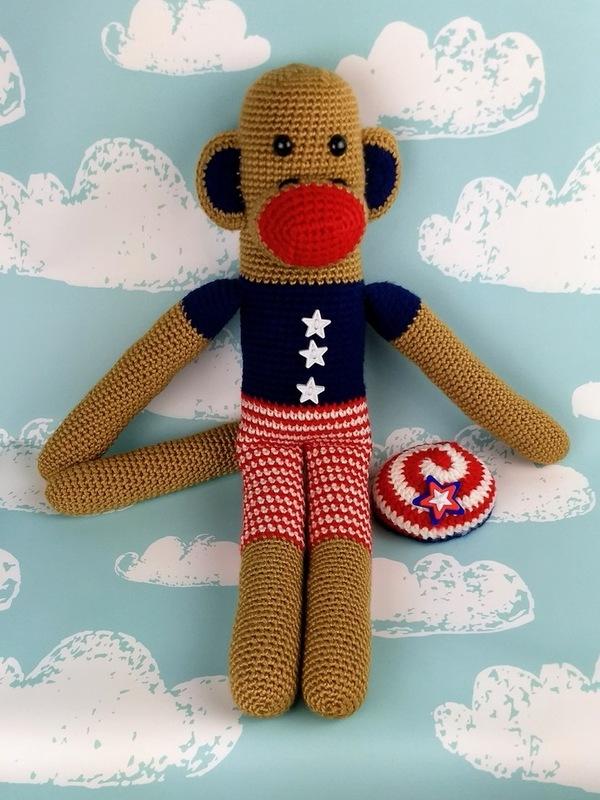 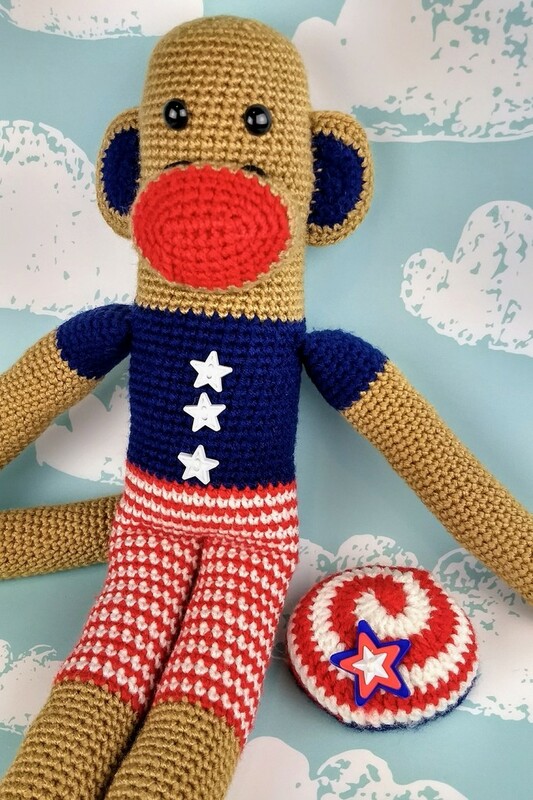 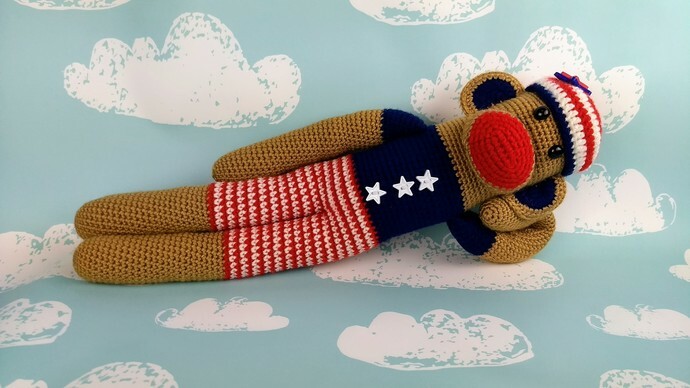 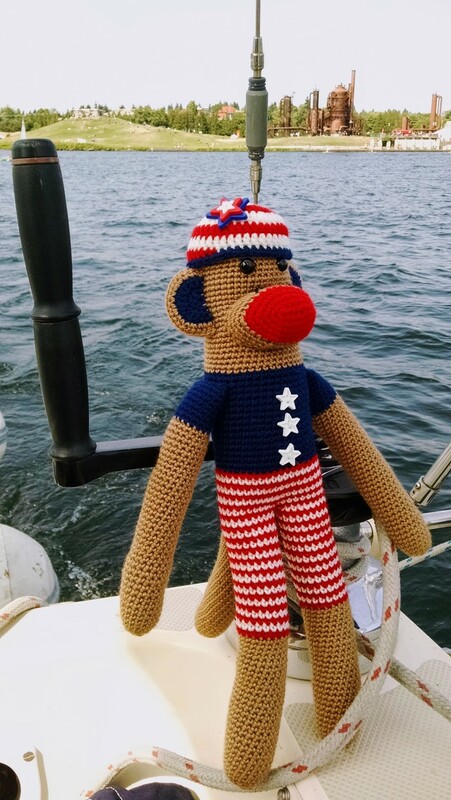 Whether you see this monkey as patriotic, nautical, or wearing an old fashioned swimming costume, monkey is ready to entertain! 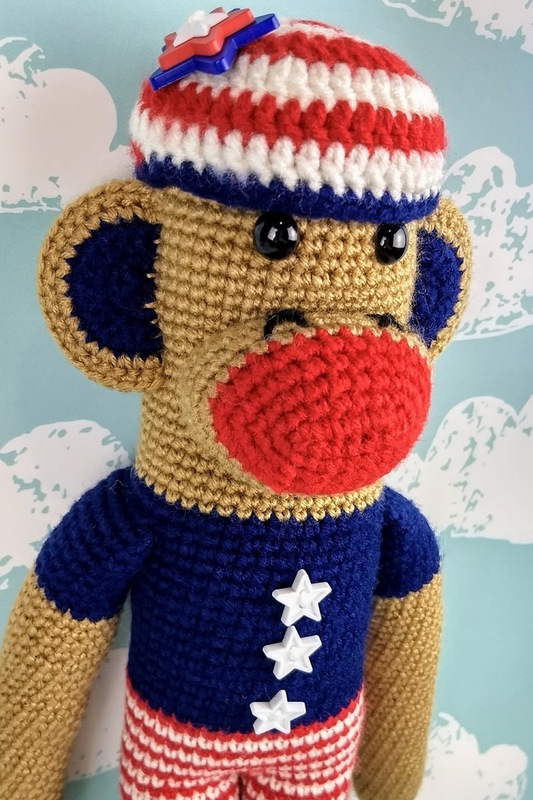 Monkey sports a removable spiral red and white hat with a blue brim decorated with stacked blue, red, and white star buttons. 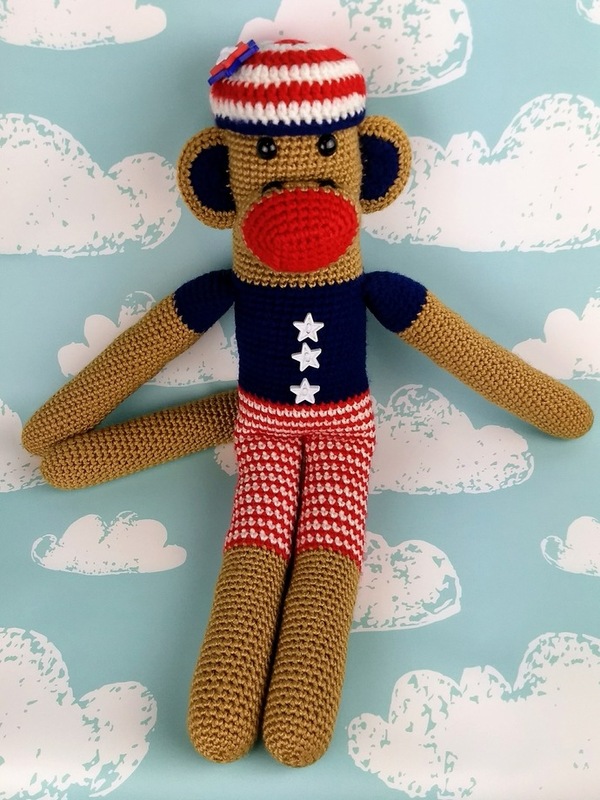 Monkey's blue shirt with white buttons and spiral red and white pants are permanently attached. 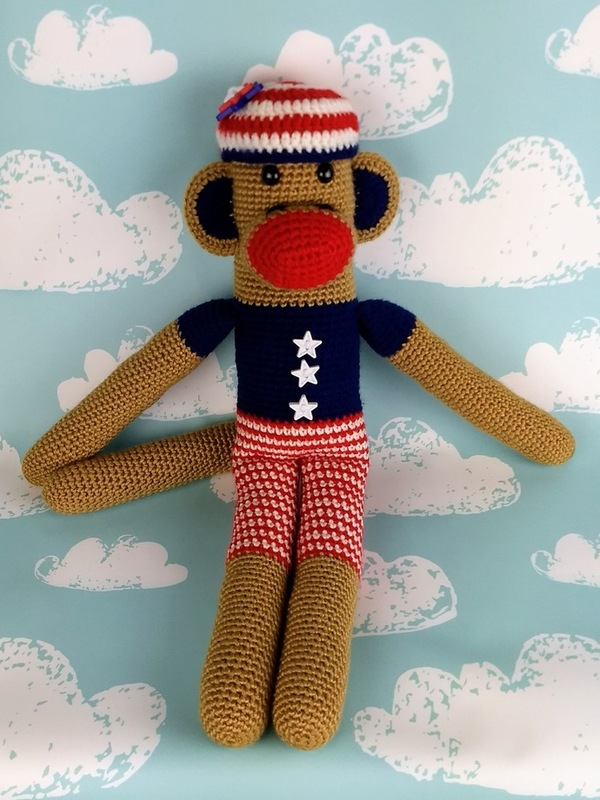 Like all my monkeys, this one stands about 18" tall and is made of machine washable acrylic in case sand gets in places. 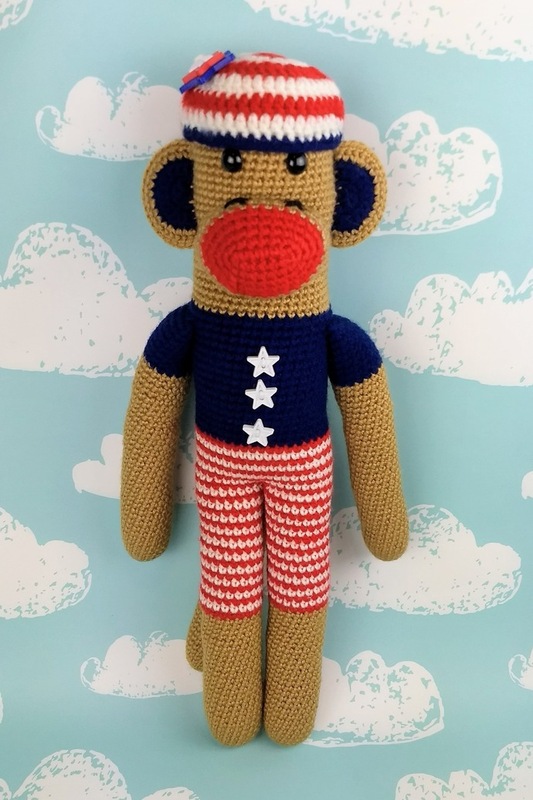 Because monkey has pointy star buttons and shiny safety eyes, this monkey is safest for children over three years of age who know not to yank off buttons and attempt to swallow them.